Cruise holidays are bigger than ever, with cruise ships offering an extensive range of facilities for all types of travellers and a huge number of destinations. Despite the fast-changing pace of the industry, some of the old myths still prevent people from trying a cruise. Reality: Cruise ship stabilisers help reduce the rocking motion. Selecting a large cruise ship and a cabin close to the ship's balancing point (low and centre) can minimise the risks of motion sickness. Royal Caribbean has some of the largest ships in the world and Celebrity Cruises, Norwegian Cruise Line and Cunard can also be good options. Select a window or balcony cabin to look out of as this can reduce sickness. Travellers can also use patches, bands or pills for seasickness. Failing that, a river cruise can be a wonderful alternative. Try: A seven-night Eastern Caribbean Cruise with Royal Caribbean on board Allure of the Seas. 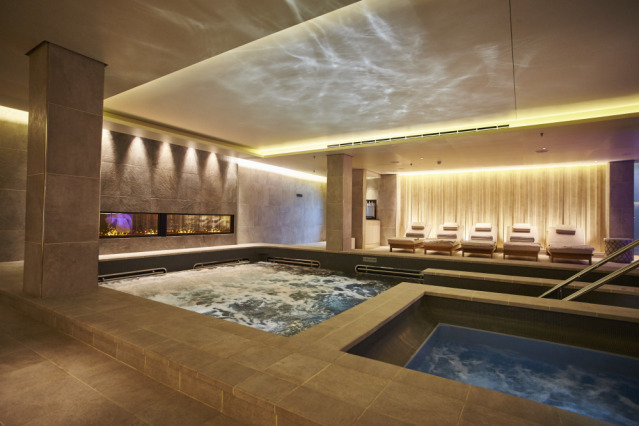 Reality: When travellers aren't waking up to a new destination each day, there's so much to do on board, particularly on the larger ships, with activities such as spas, fitness centres, theatres, bumper cars, enrichment programmes and cookery classes. Try: A seven-night Northern Europe Cruise with Royal Caribbean on board Independence of the Seas. Myth: "There's not enough time to explore the destination"
Reality: While some of the larger ships stay in port for one day, many lines, and particularly smaller ships, stay overnight. Extended immersive port experiences offered by lines such as Azamara Club Cruises, enable you to spend two or three days enjoying the local culture and landmarks, while Celebrity Cruises offers overnight stays on many Caribbean sailings. Try: A ten-night Greek Isles & Cyprus Voyage Cruise with Azamara Club Cruises on board Azamara Journey. Myth: "Cruises are too expensive"
Reality: With more ships and, therefore, more competition, prices are being reduced and some are equivalent to package holiday prices. Factor in all the inclusive extras, such as endless activities, world-class shows and entertainment, free kids' clubs, multiple destinations and an abundance of food, and it delivers good bang for your buck. Some UK-based lines, including P&O Cruises, Fred. 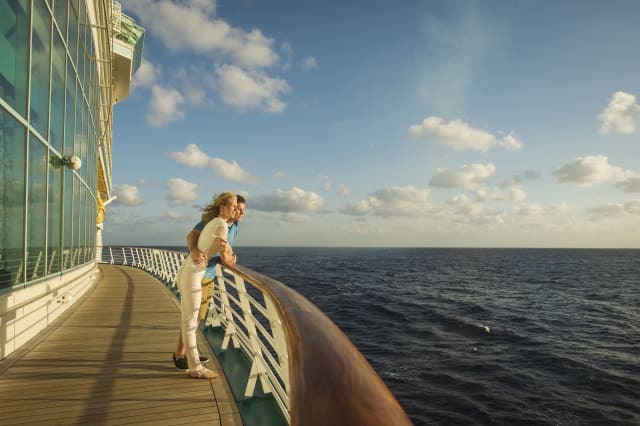 Olsen Cruise Lines and Cruise & Maritime Voyages, even offer mini-cruises of two- or three-nights for as little as £200. Celestyal Cruises won Best Value in the Cruise Critic Editors' Picks Awards and offers all-inclusive fares, which include both drinks and selected shore excursions - all for less than £175 per day. Try: Thomson Cruises' seven-night Spirit of Iberia cruise on board Thomson Celebration. Reality: Some of the megaships are equivalent to the length of three football pitches, with vast public spaces and some even include shopping centres, waterparks, sports decks, promenades and even parkland. For those who plan to spend a lot of time in the cabin, a balcony option will extend personal space. Try: Celebrity Cruises' 14-night Western Mediterranean cruise on board Celebrity Eclipse. Myth: "I can't cruise solo"
Reality: The single supplement historically meant that solo cruisers pay a large excess, however, this can be avoided with research. Certain lines cater particularly well for solo travellers - Fred. Olsen, for example, offers more than 200 single cabins fleet-wide, regular solo supplement promotions and solo hosts and events on board. Saga has a large number of solo cabins (25 per cent), almost all of P&O Cruises' ships include single cabins, while Voyages to Antiquity reports that more than 35 per cent of its UK passengers travel solo due to its competitive pricing. Some of the smaller ships may offer a more sociable experience for solo cruisers; however, larger ships may accommodate those travelling alone by offering specific events and areas for solos. Try: P&O Cruises' 12-night Mediterranean Cruise on board Ventura. Reality: With delicious array of food available, some people fear weight gain but as with an inclusive land-based holiday, it's about applying a balanced approach. For those overindulgence days, cruisers can try and burn some calories with activity. It's simple to clock up daily steps, especially for those who take the stairs. Cruise ships offer plenty of opportunities to be active and that's before considering the state-of-the-art fitness centres and active excursions available. Gyms on some of Royal Caribbean's ships feature Gravity machines and Activio Cycling, while cruisers can attend dance events on lines, such as Holland America. Try: Holland America Line's 14-night Indonesian Discovery on board Volendam. Myth: "I won't enjoy the canteen-style food"
Reality: For many, food's a key ingredient for a positive cruising experience and cruise lines work hard to deliver high standards. From hot dogs at the Royal Caribbean Dog House or sushi by Michelin-starred chef Nobu Matsuhisa on Crystal Serenity and Symphony, there is so much to choose from. Many of the cruise lines have top chefs on board and relentlessly strive to innovate offerings to match (or better) the high standards of on-land dining. Larger ships have outstanding choice, with multiple restaurants. Dining is also more flexible than years past, with fixed table plans and meal times in the main dining room becoming less popular. 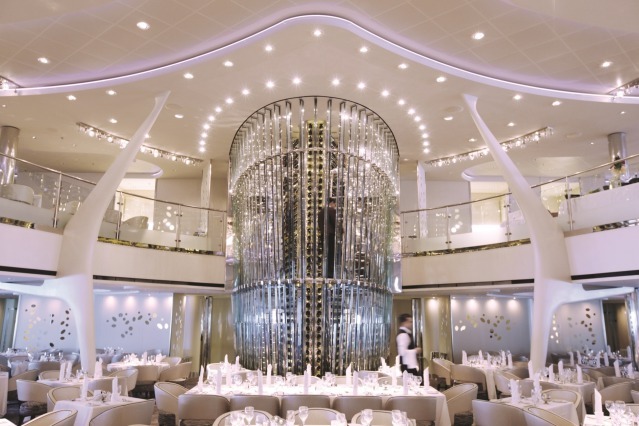 Try: Viking Ocean Cruises' 15-day Viking Homelands Cruise on board Viking Star. For the first time in 15 years, Seabourn’s Alaskan cruise will depart for an intimate sailing in this spectacular part of the world on 1 June 2017, with additional dates until September 2017. Cruisers will enjoy a privileged view of the Last Frontier that larger ships cannot access, taking in towering virgin forests along the Inside Passage, the thunderous calving of glaciers and impressive humpback whales breaching in the Kenai Fjords. Some of the best shore excursions include kayaking the Misty Fjords, bear viewing and a Mendenhall Glacier hike. From £5,199 per person for 11 days. Were you inspired to visit Bangladesh by the BBC's Chronicles of Nadiya? Join Silversea's first-ever venture to the lesser-known country on an exotic February 2017 voyage, where you will explore remote villages, visit local schools and watch locals weave authentic fabrics. The cruise takes in Sri Lanka and India, allowing you to walk the fields of the only organic tea plantation in Sri Lanka and see the huge variety of birds in the Andaman. You will also have the opportunity to explore the world’s largest mangrove forest as you attempt to unravel the secrets of the mysterious Bay of Bengal. From £12,150 per person for 16 days. Explore two national parks, several settlements and intriguing cities on Hurtigruten's new-for-2017 Exploring the Arctic Land of the Caribou cruise from Greenland to St Johns on the eastern coast of Canada. On the July 2017 adventure, you will learn about the fascinating history of the Inuit and marvel at the stunning scenery in the remarkable region, with endless wild tundra, taiga forests, majestic rivers and countless lakes to discover. From £5,049 per person for 15 days. Solo cruising is hotter than ever and in 2017 Aqua Expeditions is launching a series of women-only luxury river cruises that will offer unparalleled access to the world's greatest rivers in the utmost comfort. The cruise holidays aim to offer women a safe and inclusive environment to explore destinations which may otherwise feel too 'off the beaten track' for solo travellers. On the Amazon River cruise aboard Aria Amazon from 20 March 2017, you can meet new people who share the same excitement for adventure, discover Peru's hidden gems and kayak down the Amazon to spot fascinating wildlife - all while experiencing five-star luxury. From £3,891 per person for four nights. Discover the rugged coastline of Newfoundland to just below the Arctic Circle as you journey aboard the Akademik Sergey Vavilov on Wildfoot's Labrador and the Torngat Mountains cruise. The July 2017 cruise takes in historic locations including the Viking settlement at L’anse au Meadows, a French-built fortress and isolated fishing ports, before reaching the spectacular Torngat Mountains National Park, home to the highest mountains in Eastern Canada. Finally, the trip passes through remote bays and fjords en route to Baffin Island, each packed with wildlife and incredible scenery. From £3,006 per person for 11 days. The remote Daymaniyat Islands are a protected nature reserve and a hidden gem on the Omani coast that many cruisers don’t get the chance to visit. They offer spectacular diving opportunities and the possibility to swim with whale sharks. For 2017, Black Tomato can arrange a luxury cruise on board a Super Dhow MY Ibra, which is fully staffed with an expert local chef to whip up meals. During the day, you will cruise along the coastline, visit islands, fish and swim. At night, you will sleep in the secluded bays of the islands, where you can rise early to watch the sunrise over the Arabian Sea, before setting off on a diving excursion or to dive with whale sharks. From £4,990 per person for nine nights. In 2017, for the first time since 2010, Norwegian Cruise Line is launching cruises out of Southampton. Norwegian Jade will offer a series of cruises including the Norway, Iceland & UK sailing from Southampton on 19 August 2017. It will take in Bergen and Alesund in Norway, Lerwick in Scotland's Shetland Islands, Reykjavik and Akureyri in Iceland, Kirkwall, Invergordon and Edinburgh in Scotland and Newcastle, England. It's a wonderful way to explore Britain and beyond. From £1,739 per person for 15 nights. Princess Cruises' newest ship Majestic Princess will launch in April 2017 and is set to sail the Mediterranean for six weeks before going to China permanently and only being sold to the Chinese market. British cruisers can have a once-in-a-lifetime opportunity to experience the ship on its Mediterranean sailings from Rome, with itineraries including the Mediterranean & Aegean cruise which stops in Italy, Malta, Greece and Turkey. 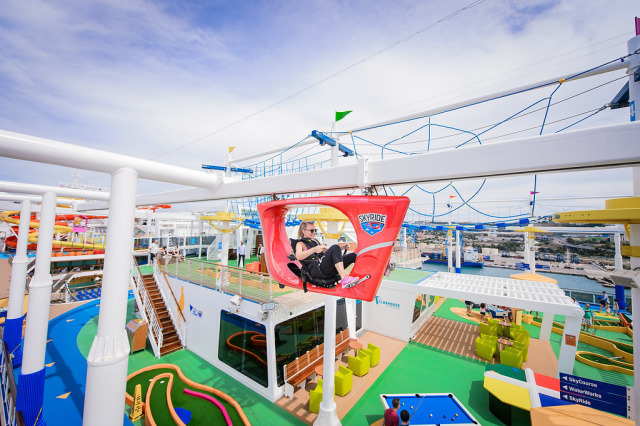 The ship features a Piazza atrium, a unique over-the-ocean SeaWalk, the Princess Live! TV studio and special private dining experience Chef’s Table Lumiere. From £899 per person for seven days. Cruising takes to the skies in 2017 as Crystal AirCruises launches to offer the ultimate in luxury for the super-rich. Flying from New York to Paris on 31 August 2017, the inaugural AirCruise takes in ten glamorous cities, staying at Peninsula Hotels in the likes of Chicago, Hong Kong, Manila and Paris. Travelling by private jet, guests will enjoy exclusive events such as a private party on the Great Wall of China and a rooftop cocktail reception with the New York skyline as a backdrop. From $159,000 per person for 27 days. The Northern Lights remain firmly on travellers' bucket lists and in 2017, you can embark on a scenic cruise to one of the world's best regions for viewing the Aurora Borealis with P&O Cruises. The Norway & Northern Lights sailing on 6 March 2017 will call at Andalsnes, where you can view the highest alpine drop in northern Europe, before travelling north above the Arctic Circle in search of the dancing lights in Tromso and Alta. From £1,699 per person for 12 nights. Star Clippers is launching new voyages around Indonesia which will begin and end in Bali, with departures between May and late October 2017. Travellers can go in search of Komodo dragons on the tall-ship cruises, with stops in Bali, the Gili Islands and Lombok. The real highlight of this cruise is seeing the Komodo dragon in its natural habitat. The Indonesian cruise, which can be booked through ITC Luxury Travel to provide a flight-inclusive package, provides the unique opportunity to visit smaller islands, such as the volcanic island of Pulau Satonda, which larger ships are unable to reach. From £2,019 for seven nights. Wildlife lovers can experience Brittany Ferries' new Sea Safari whale watching cruises in collaboration with its wildlife conservation partner ORCA in 2017. The mini-cruises, from June to September, leave Portsmouth and cross the Bay of Biscay, before arriving in Santander. ORCA guides will be on deck from sunrise to sunset to give you the best opportunity to spot creatures from the side of the ship. As one of the world's hotspots for diverse whale and dolphin species, the Bay of Biscay has 31 of the 87 species of dolphin and whale, including fin whales, sperm whales, striped dolphins and killer whales. £185 per person for three days. Capture Antarctica's wildlife on a unique safari with award-winning photographer Andy Rouse and Natural World Safaris in November 2017, as you venture to the Antarctic Peninsula on a once-in-a-lifetime cruise holiday. For this trip, you will spend full days on the stabilised ship M/V Akademik Ioffe to explore one of the world’s last, truly wild frontiers. Guided by expert photographers, Andy Rouse and Andrew James, with specialised lectures and on-the-ground training, you will capture incredible wildlife photos, regardless of prior experience. Zodiac explorations will take you even closer to the shore for closer wildlife viewings. From £6,500 per person for 13 days. For a family cruise to remember in June or July 2017, head for the River Seine on Tauck's Paris to Normandy cruise, which combines an action-packed two-night stay in Paris with five nights aboard a riverboat exploring Monet’s gardens, D-Day Beaches, Rouen and Versailles. Families can enjoy a guided bicycle ride along the Seine, a Parisian picnic at the Eiffel Tower and an art-filled scavenger hunt in the Musée du Louvre. In Les Andelys, take a hike up to Château Gaillard of Richard the Lionheart fame and at Château de Versailles, see how the royals lived or go on a bicycle tour of the gardens. From £2,995 per adult and £2,675 per child for eight days. Explore Croatia's glittering Dalmatian Coast from Dubrovnik to Sibenik on a small cruise aboard the Royal Eleganza, a traditional wooden vessel, in July or August 2017 with Intrepid Travel. Cruisers will have the chance to see the impressive coastlines, travel up meandering rivers and swim in the welcoming waters of the Adriatic. You will be spoilt with the natural beauty of the national parks and stunning beaches, including the fairytale Krka National Park and its stunning waterfalls and turquoise waters. There will also be a stop at the Old Town of Korcula to sip on local wines and a visit to the historic city of Sibenik. From £1,580 per person for eight days. The Caribbean destination still on everyone's lips, Cuba remains a delight to discover and if you didn't visit in 2016, 2017 is your year. Celestyal Cruises is running a year-round itinerary for cruisers to explore the whole island and calls at its most exciting ports. On Celestyal Crystal, you will enjoy authentic Cuban food and entertainment as you sail around the island, taking in Punta Frances, Cienfuegos and Santiago de Cuba. With the Holiday Place, you can even book a package to spend an extra four nights in Havana. From £2,019 for a seven-night cruise and four nights in Havana. 2017 marks 100 years since the revolution which uprooted the Russian population and replaced Russia’s traditional monarchy with the world’s first Communist state in one of the defining moments of the 20th Century. In 2017, travellers can discover the passion and grandeur of Russian history, art and culture along the country's waterways on Uniworld Boutique River Cruise Collection's Imperial Waterways of Russia cruise from Moscow to St. Petersburg, passing some of the ccountry's most beautiful countryside and experiencing Russia in all its glory and splendour. From £4,499 per person for 13 days.